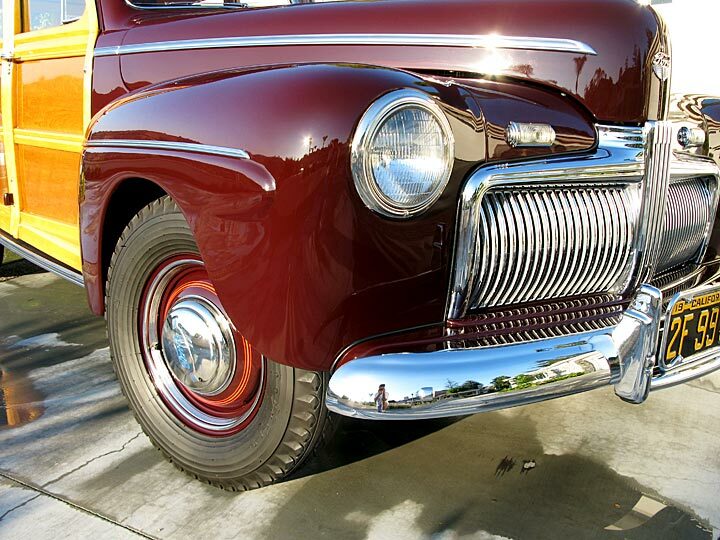 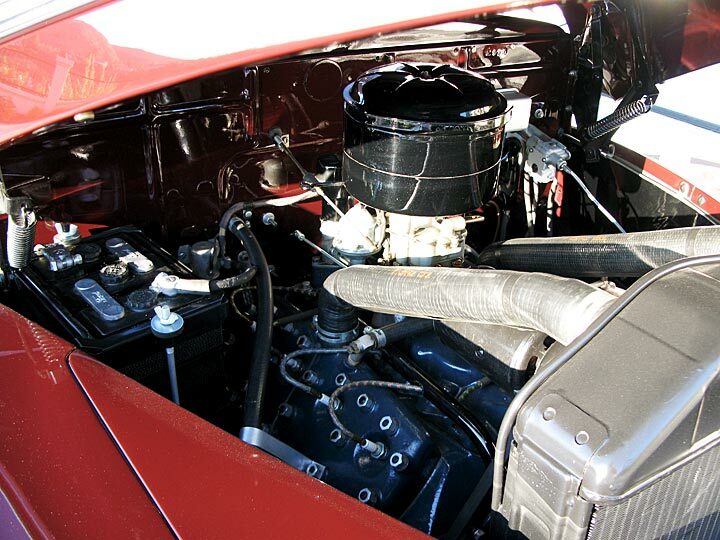 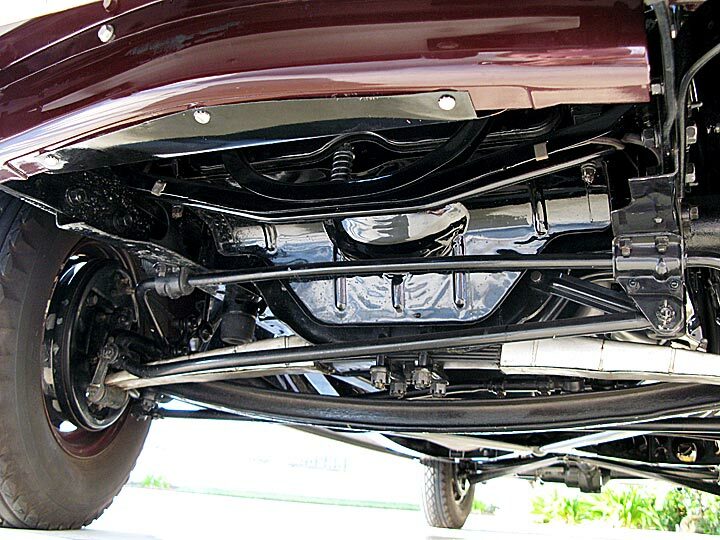 This 1942 Ford was fully disassembled and restored completely by Alexander Restoration in 2003. 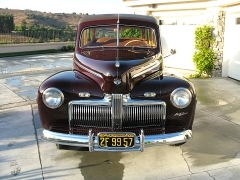 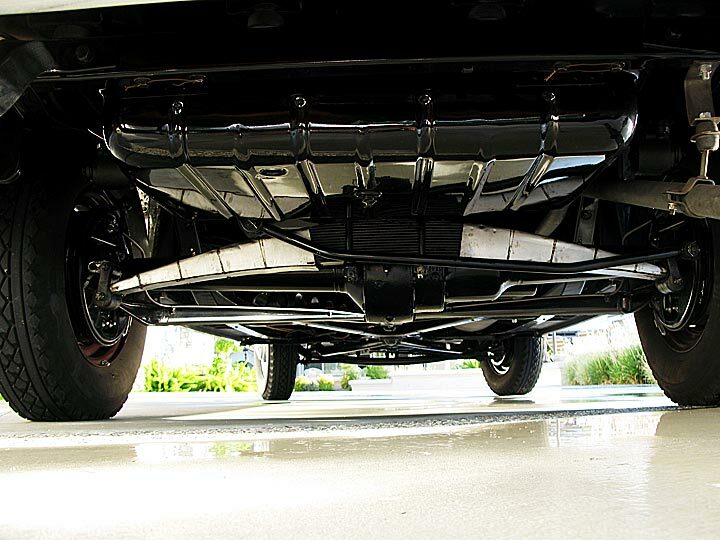 The car was completed in June of 2003 and driven by Nick Alexander himself across the United States to Dearborn, Michigan in excruciating 100°F + temperatures. 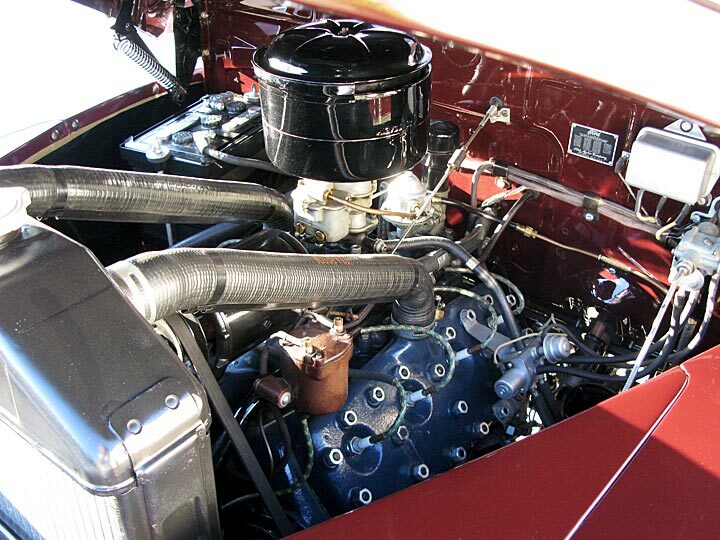 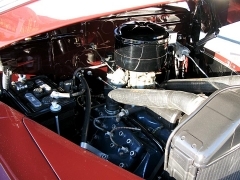 Although warm for the driver, once in Michigan, the car was judged by the Early Ford V-8 Club of America and won a prestigious Dearborn award for accuracy and authenticity in restoration. 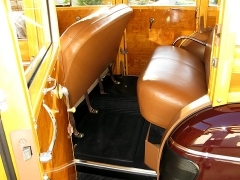 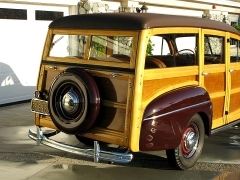 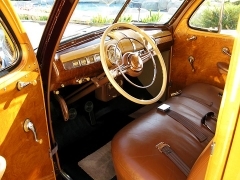 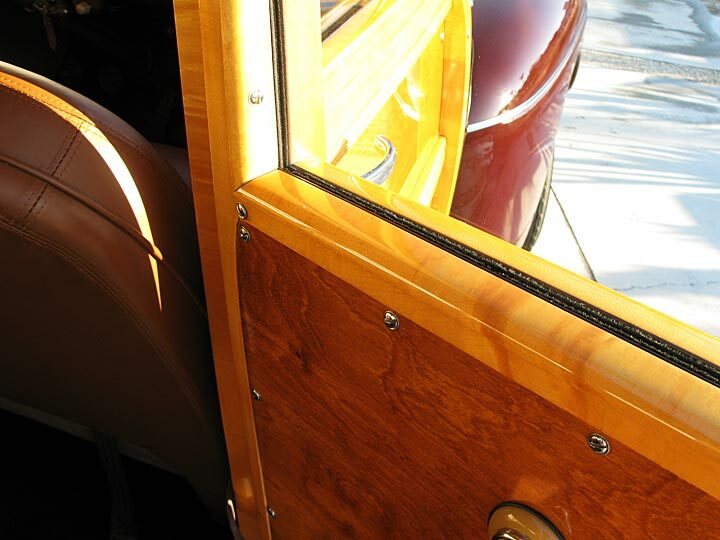 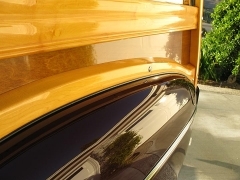 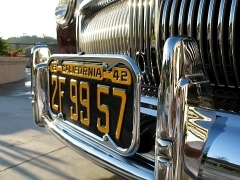 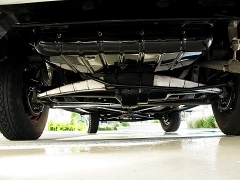 Most recently the car was offered for sale along with 51 other Alexander restorations, which were predominantly Woodies at the Pebble Beach Concourse Auction on 8-13-09. 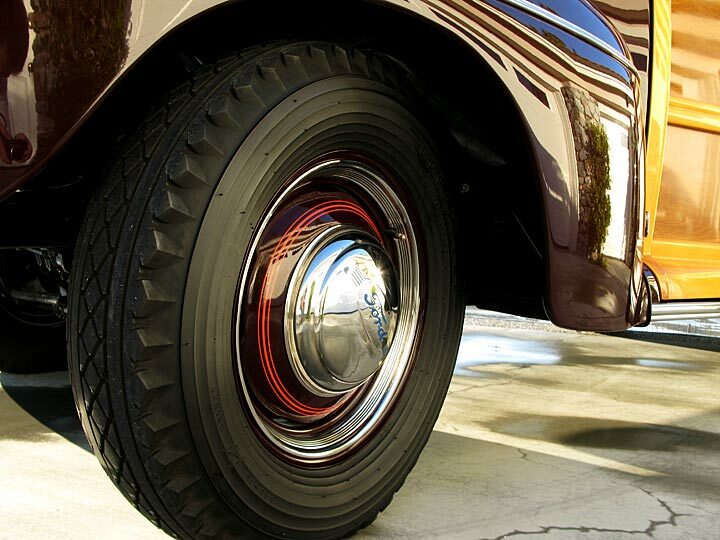 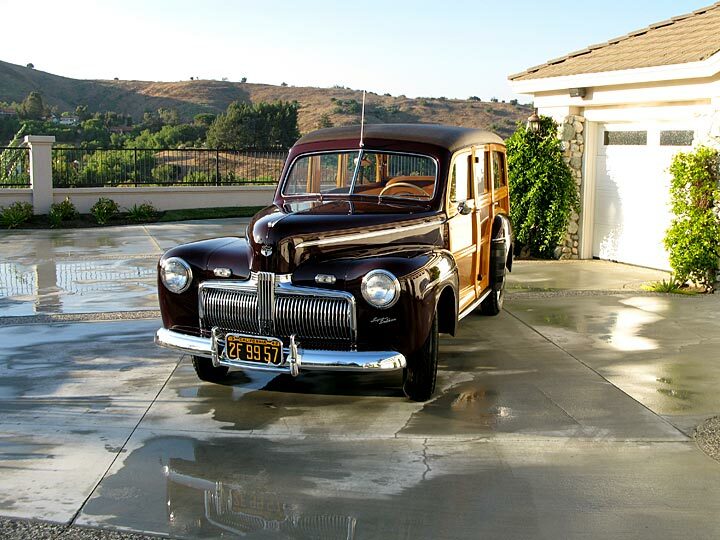 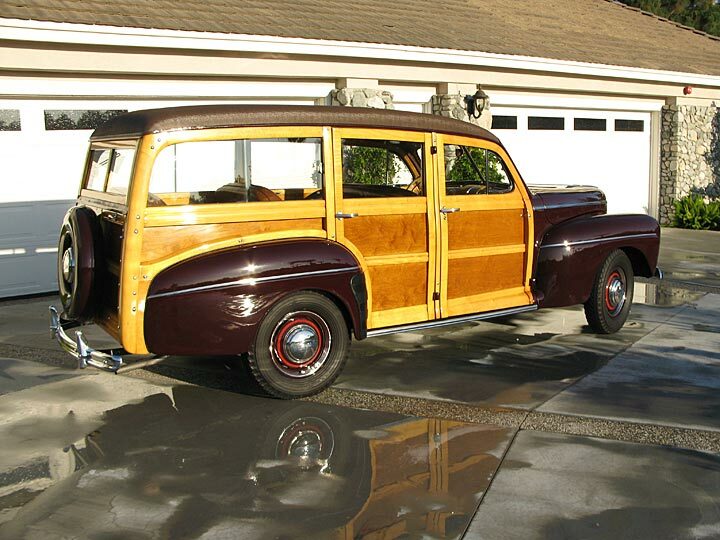 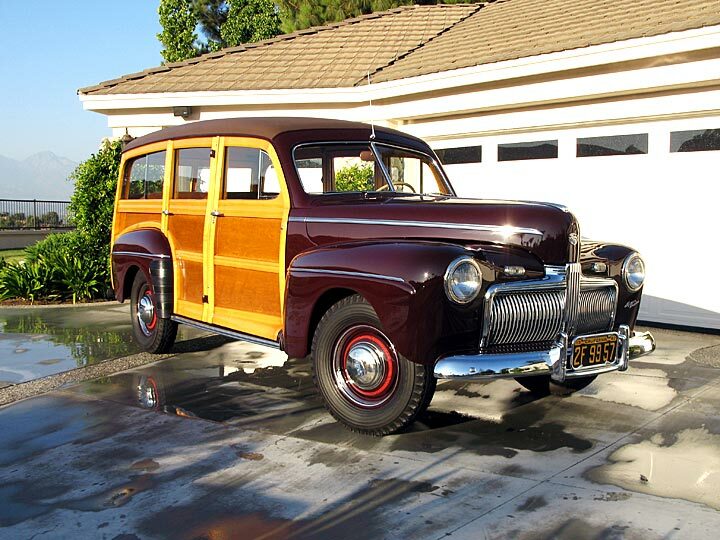 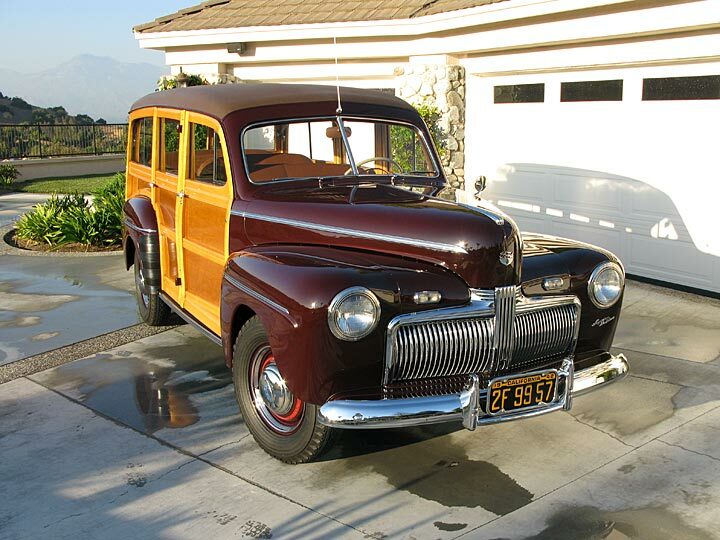 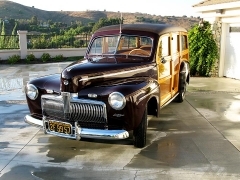 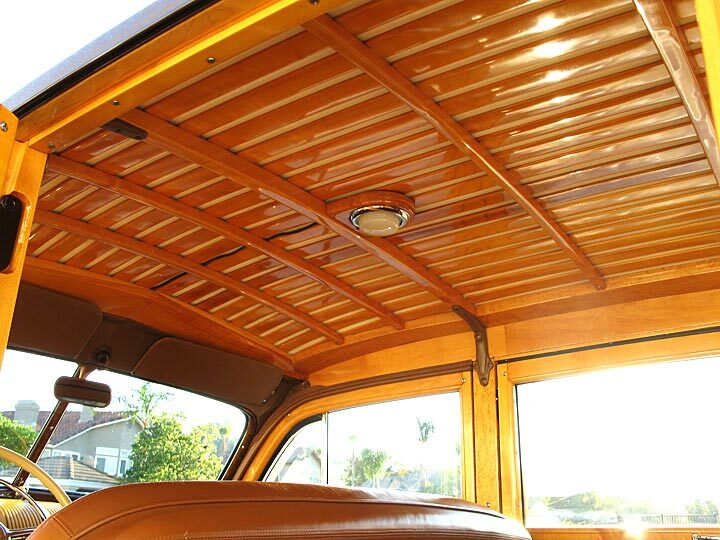 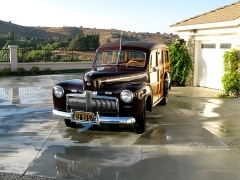 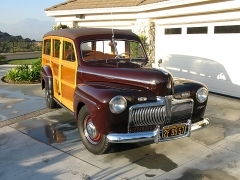 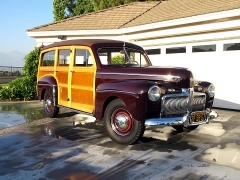 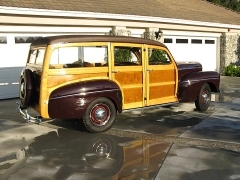 1942 Ford Woodies are very rare and sought after, especially in this superior condition. 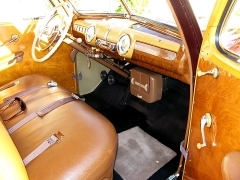 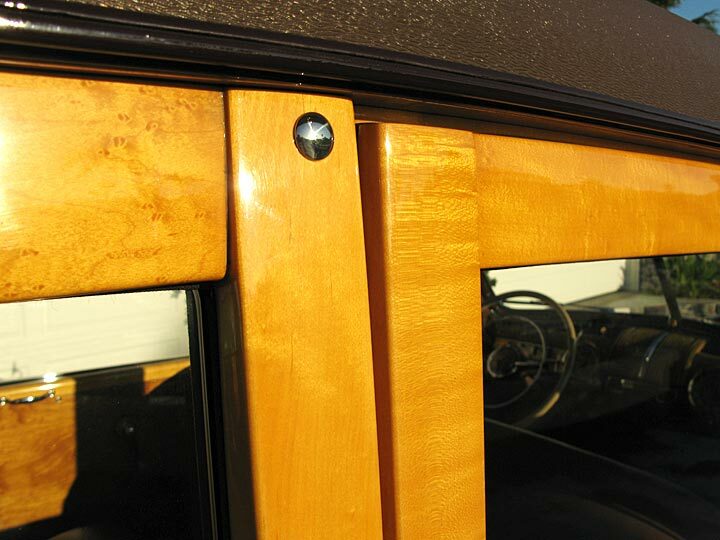 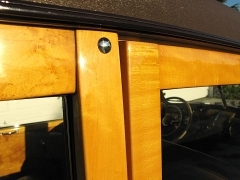 It retains the original “Bake Lite” plastic on the dash and all of its original wood as manufactured by Ford in Iron Mountain, Michigan. It was a real honor to have attended the Pebble Beach auction and to drive away with a car from the most prestigious and complete Woody collection ever assembled.